J.A. 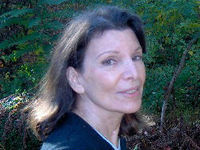 (Joyce Anne) Schneider is a former staffer at Newsweek Magazine, a wife, mom, and reading addict. She loves thrillers…which may seem odd, since she was once a major in French Literature – wonderful but sometimes heavy stuff. Now, for years, she has become increasingly fascinated with medicine, forensic science, and police procedure. She lives with her family in Connecticut, USA. I look at that title I just wrote, and I laugh. Easy to do at times like this when I’m between books – one done, the next just starting to form. Well it is kind of funny, when you’re out of your writing tunnel, to remember what it feels like when you’re in it. Oh, those twin terrors: the new, blank page, and the question, What happens next? Which tells you immediately that I don’t outline. I start with the fun part – an idea, the beginning with my main one or two characters and a fuzzy idea of the ending. That’s the exciting part, just letting the new idea start to swirl in my head. Then more ideas come to join the Word doc of notes that I keep – but those notes start to resemble a shopping list more than any semblance of order. I’ve tried to outline, several times gave it my best effort. Those outlines maybe made it up to chapter four or five…but then what? The final stories went off the rails anyway. So pare it back down to the naked beginning. And since I write thrillers, they inevitably start with something high adrenalin. Those opening scenes are my favorite, the cornerstone of what reading that story should feel like, with the problem remaining of how to maintain that intensity. Then when finishing a book I wonder, How in the world did I do that? It feels like that whole story, finally and after struggle, just…took form. It feels like magic, and I don’t remember how I did it! Only that ideas came as I wrote. Things just finally filled in…although that never happens in the first draft. Nobody gets it right the first time. You HAVE to do it wrong first to see how you should have done it. First drafts to me feel like descriptions of mountain climbing, where you have to pound spikes, one at a time, into the hard rock face, and then you pull yourself up to the spike where you’re hanging on, buffeted by wind and lost sleep, and you reach up further and bang in the next spike, and the next…until you’re done with the bleeping first draft. And then you “turn the pile over,” go back to the beginning to see what you’ve got. By this point, the muddy water has cleared (these metaphors do help), and you have a clearer idea of the story. It does get easier after the first draft. Even pleasant with discovery as characters come to life and start figuring things out for themselves. Kinda like Geppetto carving Pinocchio? My biggest hurdle is still avoiding the quagmire of re-writing too soon, editing as I go along. I’m still trying to learn to write rough, master the art of powering through, get to the end of the manuscript and THEN worry about the quality, go back and edit. But I’m not there yet. I still plod away, starting each day trying to get yesterday’s work into better shape, and then I move ahead. Which is better? Writing 3,000 words a day, then having a mess to go back to and edit? Or writing a more careful 1,500 words a day and having them go down cleaner? I fall in the latter category. But maybe that’s because, subconsciously, I really do have a story structure more clear than I realize in my head. Honestly, I’m not sure.